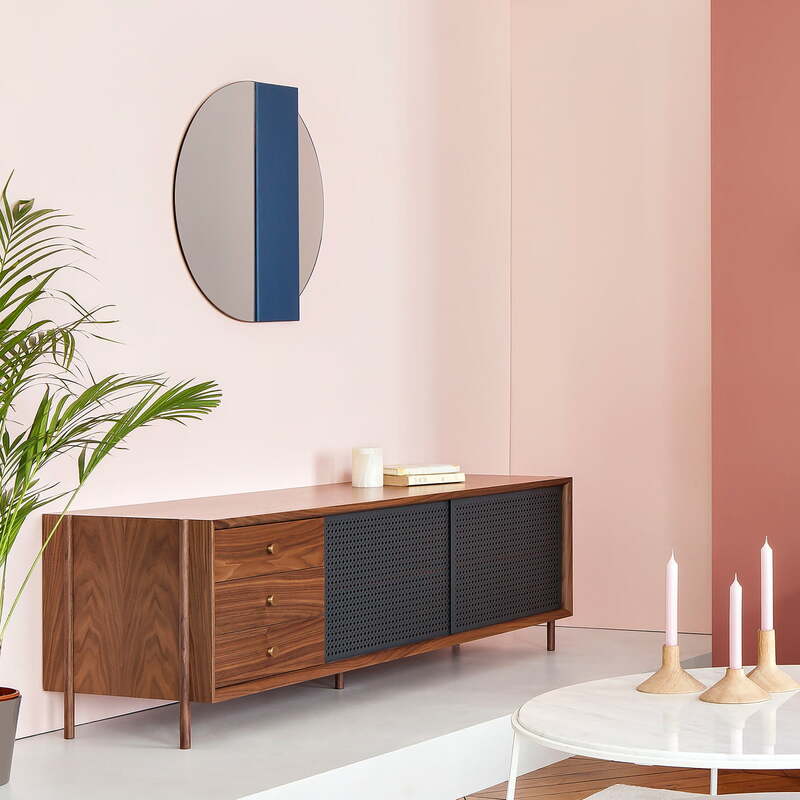 The Charlotte wall mirror by Hartô was designed by Charlotte Juillard and is characterised by a playful interaction between geometric shapes and materials. Curves and circles are combined with vertical lines to create an exciting and decorative wall element for the hallway, bathroom and bedroom. The hidden wall magnet is ideal to keep keys and other metallic objects at hand. The glass mirror with a diameter of 60 cm is made from clear or grey mirror glass and features a magnetic element in oak or blue colour. 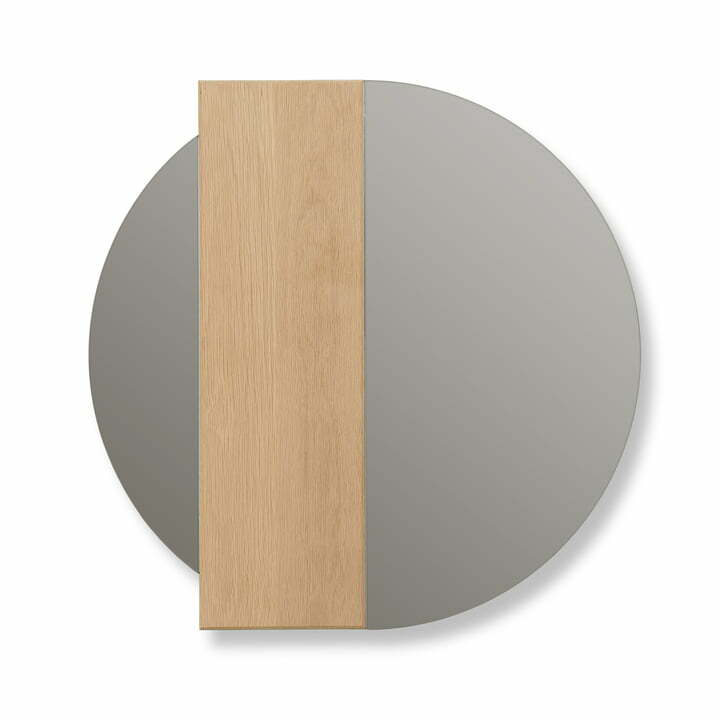 Isolated product image: The glass mirror with a diameter of 60 cm is made from clear or grey mirror glass and features a magnetic element in oak or blue colour. Lifestyle product image of the Charlotte wall mirror by Hartô: The Charlotte Wall Mirror by Hartô: The hidden wall magnet is ideal to keep keys and other metallic objects at hand. 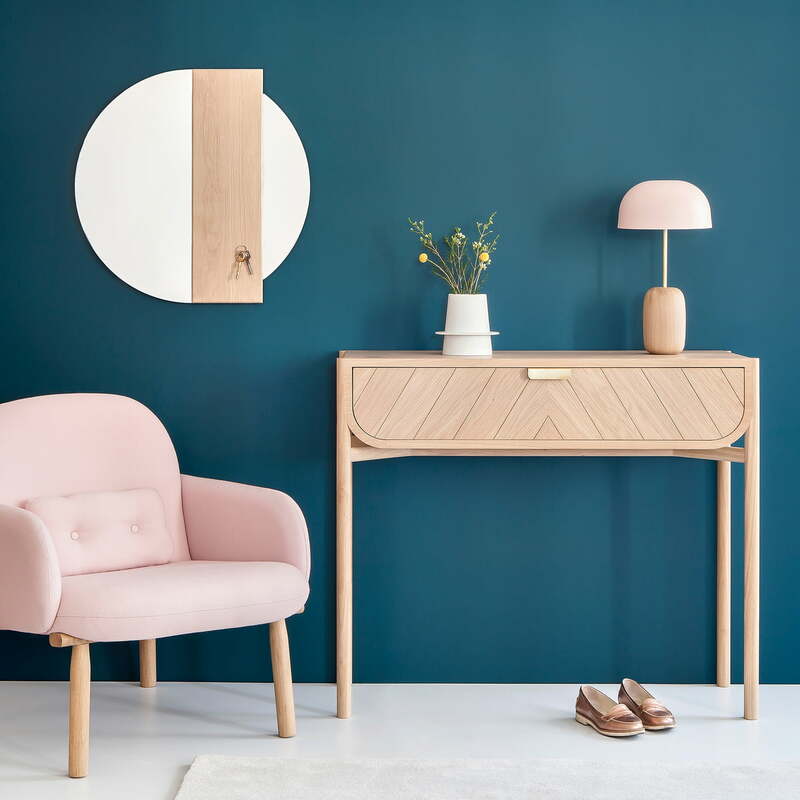 The Charlotte wall mirror by Hartô was designed by Charlotte Juillard and is characterised by a playful interaction between geometric shapes and materials.